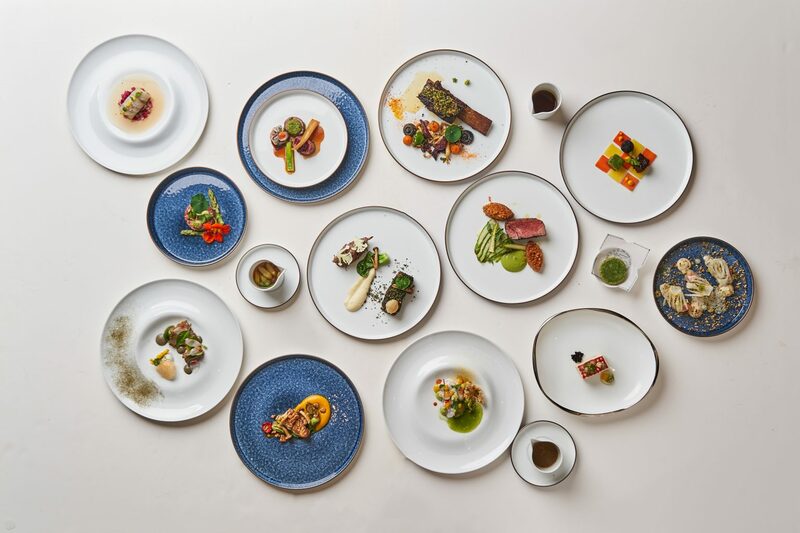 As part of their commitment to culinary excellence and creativity, the Hyatt group of hotels recently held the finals of their annual The Good Taste Series—a cooking challenge that pits Hyatt’s chefs from around the world against each other—right here in Singapore on the 28th of March. With over 220 chefs from over 40 countries competing in the preliminary rounds, 6 were shortlisted and invited to put their kitchen skills to the test—Lily Liu of Park Hyatt Hangzhou, Leandro Minelli of Grand Hyatt Baha Mar, Sebong Oh of Grand Hyatt Seoul, Jonathan Pasion of Andaz Maui at Wailea Resort, Thomas Progeas of Park Hyatt Paris-Vendôme and Robert Schielke of Hyatt Regency Addis Ababa. During the finals, the six finalists were given a mystery black box, which contained ingredients that had to be incorporated into their dishes. Required to prepare an appetiser and a main dish, the ingredients inside the black box were Australian grass-fed cow, sustainably farmed barramundi, home-grown herbs from the rooftop of the Grand Hatt Singapore, and organic vegetables from Malaysia—with Chef Pasion emerging champion. His creations included the Barramundi Tataki “Kilawin”, and Filipino Adobo Australian Grass-Fed Beef Cheeks. This is not your run-of-the-mill competition, though. This annual challenge keeps the Hyatt Group competitive, and further elevates the quality of culinary excellence across all Hyatt brands. More importantly, it highlights Hyatt’s commitment to sustainability and giving back to society. Apart from providing diners with healthy and nutritional options, they work with local farmers and suppliers, and often use organic produce in their culinary creations. We’re definitely excited to see what the Hyatt brand brings to the table next, but one thing’s for sure though—we’ll be keeping our eyes peeled for next year’s edition of The Good Taste Series. Game to try it for yourself? Check out Hyatt Singapore’s list of restaurant offerings here.